Congratulations to our Skills Alberta Competitors! The TIAA Board is excited to have the TIAC conference in Alberta this year and is looking forward to a strong TIAA Member Presence. To aid this, the Board of Directors have decided to designate $25,000.00 to be dispersed to the TIAA membership for their conference registration. Member companies are to apply for reimbursement for one representative per company and submit a copy of their paid registration. Applications must be submitted before September 20, 2018. Once all applications are received the allotted $25,000.00 will be divided by the total amount of applications received and the amounts dispersed, to a maximum of 500.00 per company. The TIAA Provincial Board of Directors will be made up of the North Chapter Board of Directors, the South Chapter Board of Directors and the immediate Past Provincial President and Executives. Positions will be elected by a majority vote, of those eligible to vote. All board positions available are a two (2) year term. In order to be eligible for the position of President, an applicant must have served on the Board previously for at least one term. If you are interested in letting your name stand for election, please read BOARD OF DIRECTORS: Roles and Responsibilities, complete the FORM and submit your application, accompanied by a brief bio describing your industry experience and history with the association, to the TIAA office via email (info@tiaa.cc). Promptpayment.ca is updated with letters for Senators and is LIVE to start driving support for Bill S-224. We are sharing the following information with you and request that you share it with employees, suppliers and any supporters you may know! Bill S-224 represents an important step to ensure greater efficiency in Canada's construction sector. For trade contractors, trades people, suppliers, and their families, payment delays have been a negative part of doing business in Canada for far too long. Provincial past President / Treasurer (Northern Chapter) – Wheeler Boys, AW-NRG Insulation Services Inc. Provincial President (Northern Chapter) – Curtis Schoepp, Adler Insulation (2005) Ltd.
North Chapter Vice President – Mark Trevors, Kaefer Industrial Services Ltd.
South Chapter Vice President – John Conti, Nu-West Construction Products Inc.
Director, South Chapter – Jeff Semkowski Johns Manville Corp Inc.
We would like to thank the 2016 TIAA Board of Directors for their year of service and dedication! Those who left the board this year will be greatly missed! The TIAA Board Elections will be held during the Semi Annual meeting at 3:00 pm at the Holiday Inn and Suites Red Deer on Friday, November 25th, 2016. Please use the below form for nominations. All completed nomination forms can be emailed to info@tiaa.cc. The Insulator Apprenticeship programs offered at SAIT and NAIT ready apprentices to enter into their careers as Insulators. TIAA values the training and partnership that both programs bring to the Alberta insulation trade and is proud to continually support these programs. As most are aware, early this summer a devastating fire raged through Fort MacMurry leveling a city, displacing the residents and crippling an industry. 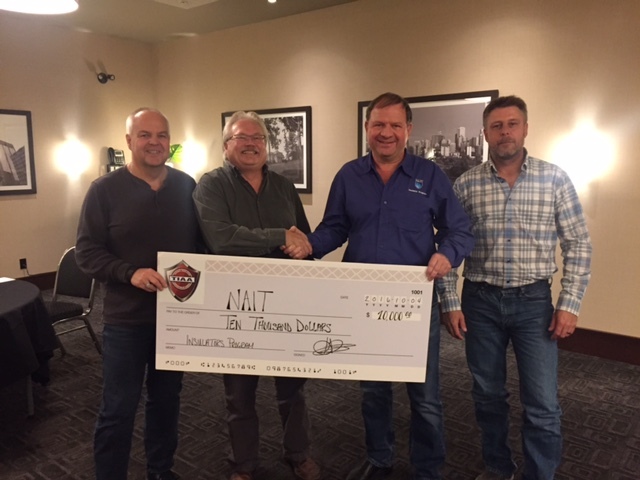 As the country jumped into action to support Fort MacMurry, TIAA and TIAC came together as industry representatives and decided to match each Association’s donations equalling $20,000.00 to The Salvation Army’s Emergency and Disaster Services - Alberta Fire Response. The Salvation Army is permanent aid in Fort MacMurry with 100% of donations going back into the community. The Salvation Army has been working closely with other NGOs and community agencies to determine how to best assist and to ensure that no needs go unmet. With established and well-rehearsed emergency protocols the organization was able to mobilize quickly. How our donation is helping: As the fires intensified and led to a city-wide evacuation, The Salvation Army was providing food and water to displaced residents. Now that the fires are under control, and people are starting to return home, The Salvation Army will be present to provide practical support as well as emotional care. 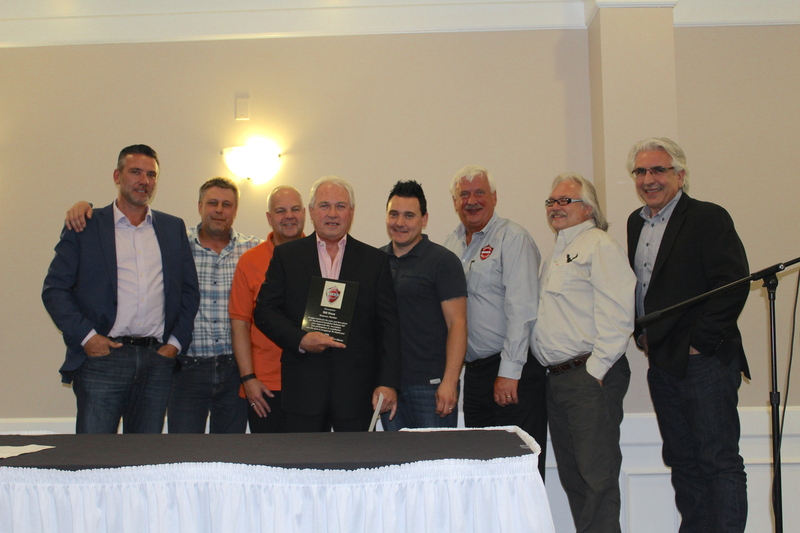 Provincial President (Southern Chapter) - Wheeler Boys, AW-NRG Insulation Services Inc. Provincial Past President (Northern Chapter)/Treasurer - Pat Pearson, Book Insulation Ltd.
North Chapter President - Curtis Schoepp, Adler Insulation (2005) Ltd. Welcome Bill Haun, our latest Honorary Member. Please click here for Bill's bio. Event held May 13 – 14, 2015. TIAA will be changing their membership dues structure effective 2016. As a TIAA member, we want your input! A membership survey has been prepared – if you have not yet completed this survey, please contact the TIAA office and we will provide you with the link to the online survey. Sectional meetings will be held in conjunction with the May 28th Annual General Meeting – please ensure your attendance to participate in further discussion on the future of the TIAA membership model. Event held May 14 – 15, 2014. Please see the below updated version of the 2014 Alberta Construction Trade Definitions for your use (updated as of June 2014). A survey was put out to the members and decision made to increase the Industry Funds back to the original .15c/hr, effective May 4, 2014. New membership plaques have been made for all members that will allow for adding 12 year plates, versus the older format of placing the year over top of the previous year on the wooden plaque. Everyone seems to appreciate the new look so far. All members are encouraged to review the online directory and provide any updates to the office. Please note only 2 contact per branch will show in the directory; however we may have more from your company on the email list. 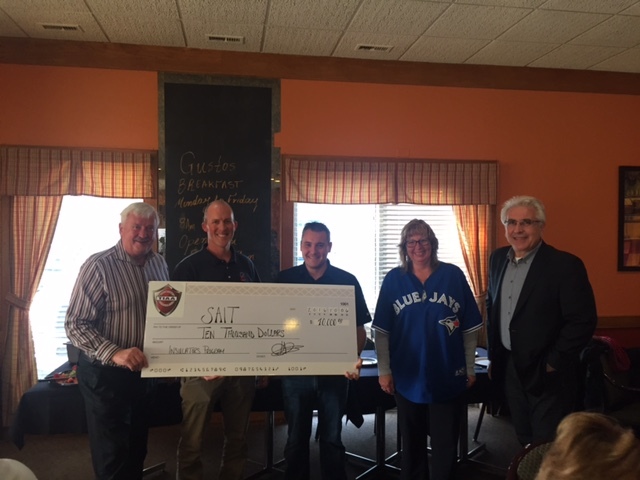 Treasurer - Laurie Peloquin, Thomas Insulation Inc.
North Chapter President - Pat Pearson, Book Insulation Ltd.
North Chapter Vice President - Dan Gagne, Westerra Insulation Inc.
South Chapter Vice President - Wheeler Boys, AW-NRG Insulation Services Inc.
Director, South Chapter - John Conti, Nu-West Construction Products Inc.
Director, North Chapter - Ron Richards, Fuller Austin Inc.
Director, North Chapter - Eric Ludwig, Albrico Kaefer Services Ltd. The AEEA Conference in Calgary on January 29th was a great opportunity to meet with people who are interested in helping the environment by saving energy. There were many speakers presenting their ideas and initiatives on how to save energy and improve the state of the environment. I gave my presentation on the Importance of Mechanical Insulation and the application of the 3E Plus Program. I met with some familiar people, and met new ones as well. Bill Spring and Pat Tilley were there from Local 110, Steve Clayman from TIAC presented on Moisture and Corrosion on Piping, and Chris Ishkanian was there promoting his new energy assessment company. I look forward to attending and maybe presenting at the next conference on new things happening in the Insulation Industry. The NAIT Career Fair was a great opportunity to meet with many of the technology students at NAIT and raise the awareness of our trade. The students were interested in the applications of Mechanical Insulation and the effect it has on the systems in buildings and on plant sites. Although not too many were looking to apply insulation, there were some Mechanical Engineering Technology students looking to explore careers as estimators or designers in the Insulation Industry. I am certain this event added to the advancement of awareness in our industry. 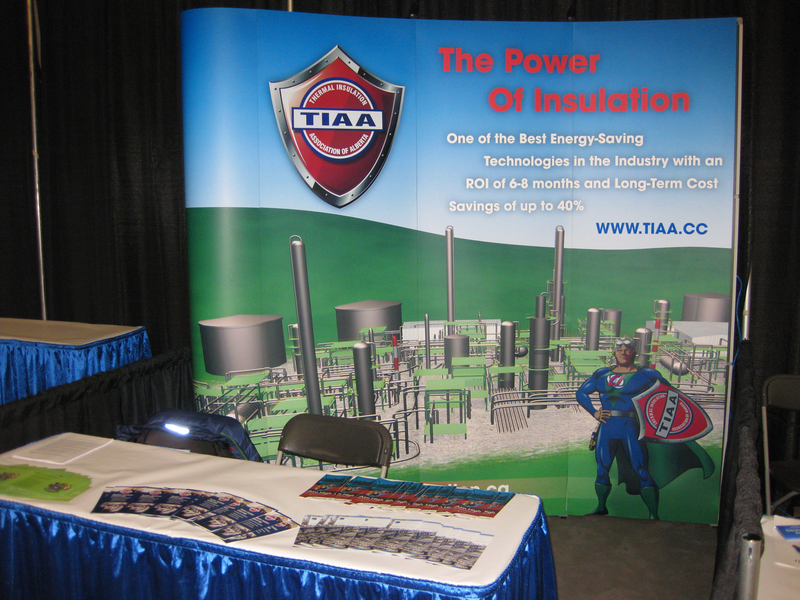 Captain Insulation was introduced at the TIAA Southern Chapter April 5th meeting, and will be in attendance at the 50th Anniversary Gala for all members to meet, prior to his public debut at the Global Petroleum Show in June. In the meantime, we encourage you to check out this video of Captain Insulation, available at www.captaininsulation.ca. Help spread the word on Captain Insulation, this most heroic of super heroes!! 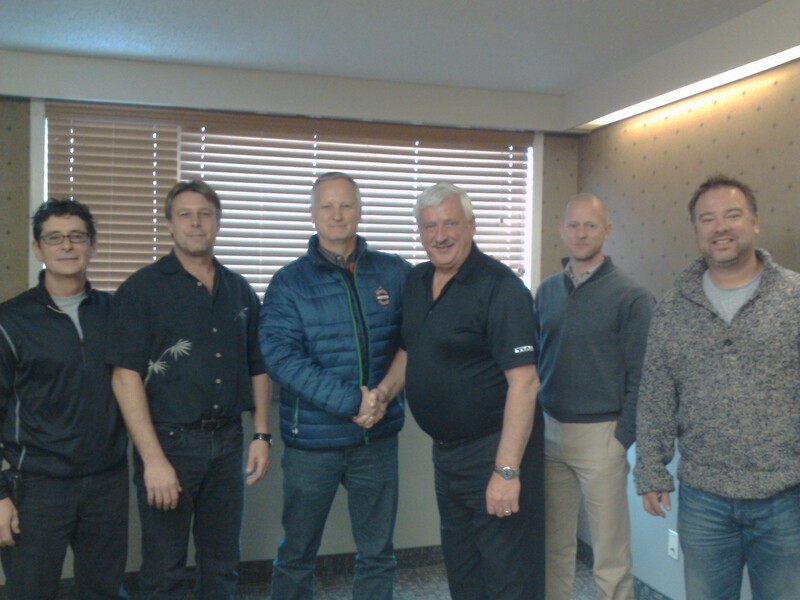 North Chapter Vice President – Pat Pearson, Book Insulation Ltd.
Director, North Chapter (two year term) – Dan Gagne, Westerra Insulation Inc.
Director, South Chapter (one year term) – Doug Warnick, Tempro Tec Inc.
Insulator Program – new to SAIT, January 2012. For further details on this program, please click here. This article “The Race to Fill the Skills Shortage” was featured in the November 4, 2011 Calgary Herald and makes reference to the insulation trade being one the highest in-demand trades. TIAA members - here is your chance to weigh in! The following five advertising campaigns have been developed, and we would like member input on which advertising campaign to pursue. All five campaigns have taken different approaches - we look forward to your feedback and to gauging how our members would best like to be promoted in the market. To vote for your favorite campaign, please click here. Results will be announced at an upcoming member meeting. Whether purchasing your first home, refinancing or considering a renovation, trust GMP Group Mortgage Plan to offer the best options to help you achieve your home ownership goal. Your source for all your mortgage needs! *Not available on all mortgages. The terms and conditions of each mortgage may differ. Please consult a Group Mortgage Specialist for details. GMP Group Mortgage Plan is an administrative division of CIBC. ®Registered trademark of CIBC. Congratulations to Jeffrey Archer, winner of the 2011 Thermal Insulation Association of Alberta Journeyman Insulator Award. 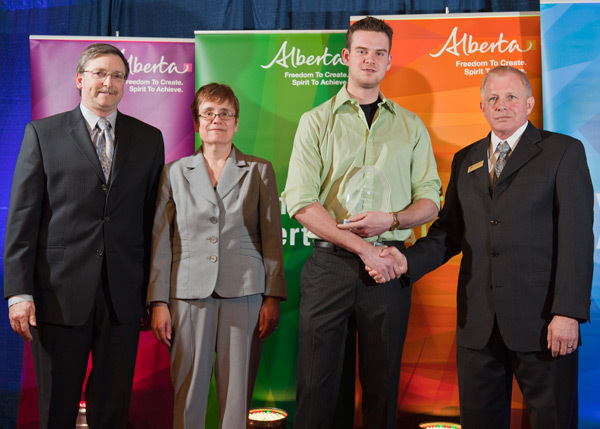 From left to right: Ron Richards, Annette Trimbee – Deputy Minister, Advanced Education and Technology, Jeffrey Archer – Award Recipient, and Ray Massey – Chair, Alberta Apprenticeship and Industry Training Board. TIAA is proud to announce that they are the newest industry association member of the Alberta Energy Efficiency Alliance (AEEA). The AEEA is made up of a diverse group of stakeholders from all sectors in Alberta. The vision of the AEEA is that Alberta will become a world leader in energy efficiency, as it is a world leader in energy production. The environmental benefits of mechanical insulation align with this vision, therefore making the AEEA a good partner for TIAA and providing a forum for further promotion of mechanical insulation in Alberta. As an industry association member, TIAA will have the opportunity to participate in AEEA events and forums as well as participation on their board of directors. Further information on the AEEA is available at www.aeea.ca.